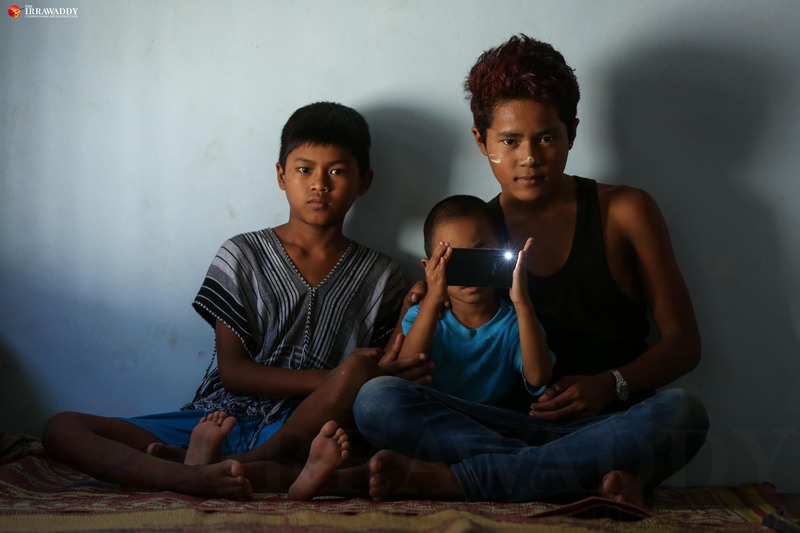 RANGOON — The only reason 46-year-old former refugee U Aye Lwin returned to Burma was so that his six children could receive a formal education in his home country—the country he left eight years ago due to political turmoil. After having taken refuge in a camp on the Thai-Burma border since 2008, he decided to repatriate once the National League for Democracy-led government took office in April of this year and welcomed the return of refugees. “Education in the camp was neither official nor up to standards,” U Aye Lwin said. “Educated people among the refugees founded a school and contributed to the community by teaching kids in the camp,” he explained. U Aye Lwin is one of 17 former refugees who recently returned to Rangoon from the Nu Po camp located on the Thai-Burma border, which was established according to an official arrangement by the governments of Thailand and Burma, the UN refugee agency (UNHCR), and the International Organization for Migration (IOM). 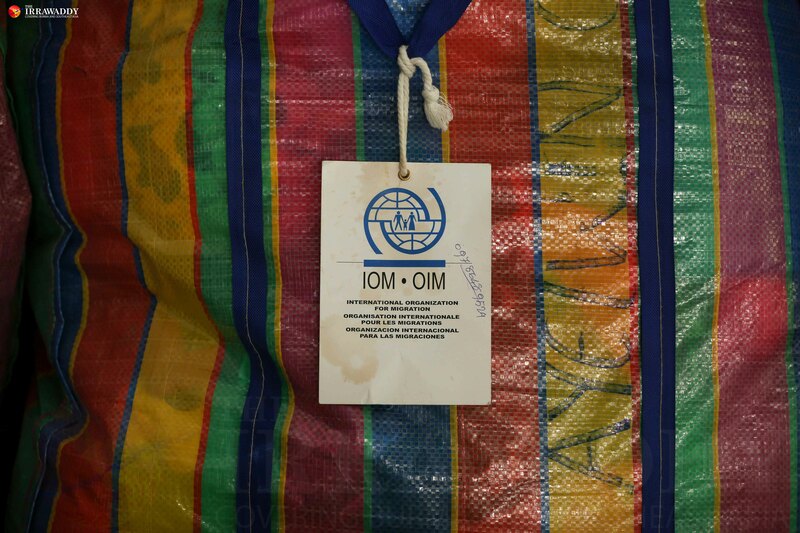 The first batch of 65 returnees was repatriated to Burma via the Myawaddy-Mae Sot Friendship Bridge in late October. Seventeen of them asked to be sent to their homes in Rangoon. U Aye Lwin made up his mind to earn money by doing any kind of job available so that his kids—from his 4-year-old son to his 18-year-old daughter—could go to school. But his homecoming hasn’t played out how he thought it would. 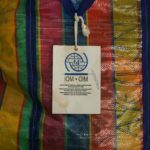 Since arriving in Rangoon in October, the 17 returnees—four families—have only been provided temporary shelter at a warehouse run by the Relief and Resettlement Department’s Rangoon office in Mayangone Township, waiting for the regional government to arrange long-term accommodation. The department, operating under the Ministry of Social Welfare, Relief, and Resettlement, provides 3,000 kyats (US$2.33) to each returnee for daily living expenses. 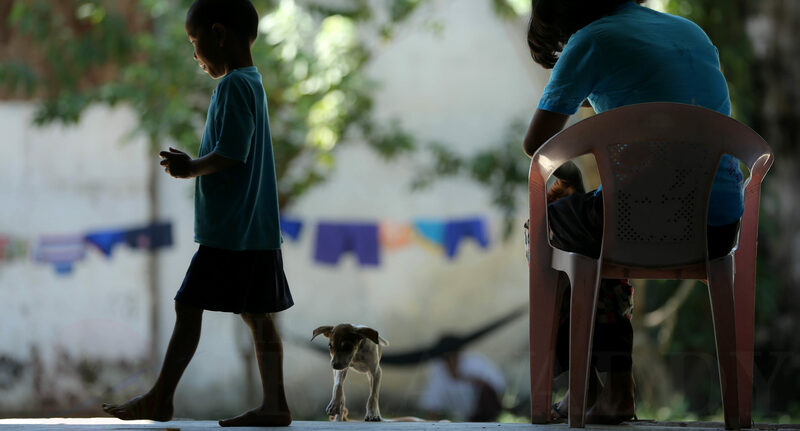 Each family has received 300,000 kyats (US$230) from the Union government, and the Thai government has offered 8,300 baht per adult and 6,500 baht per child before leaving Thailand. 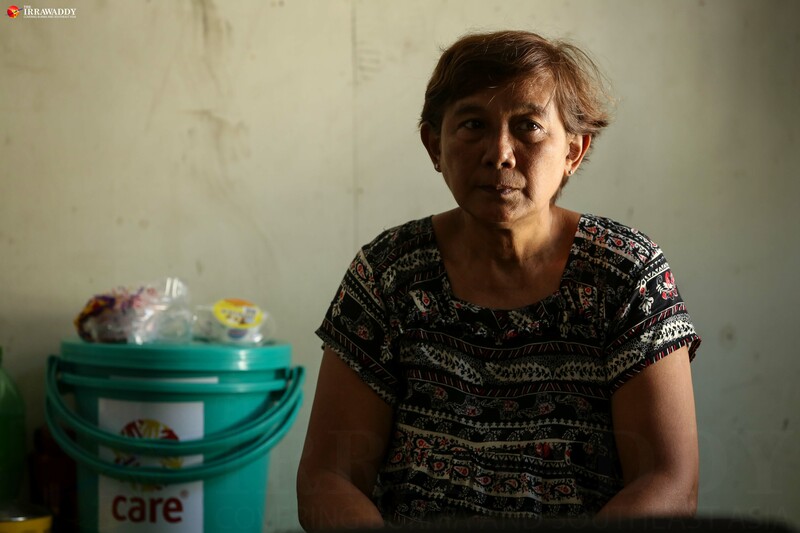 Daw Khin San Yee, 59, is a former political prisoner and, along with her husband, was a refugee at the Nu Po camp in 2009. 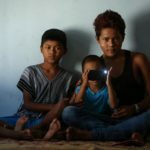 Though she was a refugee, she followed news about Burma’s democratic transition on the radio and television—the only available news sources in the camp. “I’ve been willing to return to Burma since its government transition [last year],” she said. All four families that The Irrawaddy spoke to last week said that their voluntary returns were driven by the fact that the NLD is in power. The Rangoon regional government provided low-cost, 9.8 million kyats-worth housing in the Shwe Linn Ban Industrial Zone in Hlaing Tharyar Township for the former refugees but asked them to use it in installments, paying 30 percent upfront and the rest over eight years. Still, the families refused to buy the apartments, saying that they couldn’t afford them. The commercial capital’s rental prices for housing have increased nearly three-fold in less than 10 years. Asked if they owned any places in Rangoon before they left Burma, Daw Khin San Yee and U Aye Lwin told The Irrawaddy that they have never been able to afford to buy apartments and that they previously had to rent places. “We returned from a refugee camp,” Daw Khin San Yee said. “We didn’t come back bringing heaps of money. How are we supposed to pay 3 million [kyats]?” she questioned. U Thant Zin Maung, 47, returned home to get traditional medical treatment for his wife, who is unable to walk due to muscle atrophy in her legs. He said he would do any kind of work to afford hospitalizing his wife and sending his two children to school once he gets long-term accommodation for his family. U Win Shwe, a director at the relief and resettlement department in Rangoon, told The Irrawaddy that his department has reported to Rangoon’s regional government about the current situation and is waiting to hear back about a possible solution, potentially this week. “We can’t provide [free] accommodation to everyone who returns,” he said. “It’s impossible to do that given that there are also people who are in worse trouble,” he added, stating that the government is still struggling to provide affordable housing to illegal squatters in the city. If Rangoon’s government were to provide free housing to returnees, others in the future would also look to return to Rangoon, and the situation would get out of hand, he explained. “They have returned to Burma and are no longer refugees. They shouldn’t be given privileges under the title ‘refugee,’” he said. The official also said that each regional government provides to returnees supports and rights afforded to every citizen. U Soe Aung, permanent secretary and spokesperson of the Ministry of Social Welfare, Relief and Resettlement, told The Irrawaddy that the government is doing as much as it can to support returnees and to find job opportunities for them. “Based on what kind of work family heads have skills for, we are working together with the Ministry of Labor and Immigration to find suitable jobs [for returnees],” he said. Rangoon’s regional minister for social welfare U Naing Ngan Linn visited the temporary shelter after returnees’ arrival in Rangoon and told reporters afterward that the government was “responsible” for arranging long-term accommodation for the new arrivals. Daw Khin San Yee said that returnees are not asking to have the Shwe Linn Ban housing for free, but rather just a place where they can afford start their lives again. 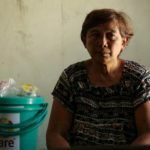 Other returnees echoed these words, saying that they don’t want to depend only on donations, that they are ready to work. “We are not afraid to work or face hardship in our own country. What’s most important is securing long-term accommodation,” U Aye Lwin said. U Thant Zin Maung said they now realize situation is very different from their expectations. Yet this has not exactly been the case, as even family heads are concerned about their uncertain futures in Burma, and their children have also been victimized by these circumstances. Sixteen-year-old Ma Thiri Suu Kyi was fidgeting her hands, not making eye contact. Sitting in front of a warehouse in Rangoon, she talked about how she used to hang out with her friends in a refugee camp in Thailand. “I didn’t want to come back to Burma,” she said, adding that she doesn’t know what to do next with her life. She was 8 years old when she and her father U Aye Lwin left for Thailand in 2008 and barely remembers what Burma looked like back then. She was in the 7th grade in the Nu Po camp and thought that she could continue school when she returned to Burma. But not anymore. “It’s not suitable for someone my age to be in 7th grade,” she said. “I have to learn with these small kids, so I don’t want to continue school here,” she continued, pointing to her 10-year-old child brother.